Air conditioning tends to take precedence in Florida as far as climate control is concerned. We are a pretty tropical environment, after all. Still, it can get extremely uncomfortable to have to go even a week in winter without a good heating system you can use to keep your home warm. With us working for you, though, that’s never something that you need to worry about. Balanced Air, Inc. provides heating services of all kinds throughout Wesley Chapel, FL. If you need a heating system installed, replaced, or otherwise serviced, our professional technicians can help you. Contact us today to schedule an appointment. Experience the Balanced Air difference! Ductless Systems: Installing and serving ductless mini splits is not something you want to entrust to just anyone. Our technicians have years of service under their belts, and they’ll make sure that your ductless system is properly taken care–of. 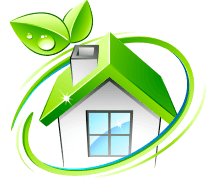 Heat Pumps: We can find, install, and service the perfect heat pump to meet your heating needs. Furnaces: There’s a reason that furnaces remain among the most popular heating system types in the country. If you need furnace services, we can provide them. We also install and service Honeywell thermostats, so that your heating system can be controlled as efficiently and conveniently as possible. A lot of people focus on things like maintenance and repairs when it comes to heating system health. While those things are definitely important, they’re not the only services that are. If you want to get the most out of your heating system, regardless of what kind it is, you need to make sure that you schedule proper heating installation services. Having the right professional contractor handle your heating installation can set the system up for many years of solid service. Having the wrong person installing your heating system could result in immediate problems before you even have the chance to enjoy it. That’s why you should trust us with your heating installation and replacement needs for your Wesley Chapel, FL home. You are bound to have to deal with heating system problems eventually. That’s just the way things are. The good news is that you can significantly reduce the odds of serious issues occurring with your heating system by scheduling preventive maintenance in Wesley Chapel, FL with Balanced Air, Inc. at least once a year. You should have it done twice a year if you’re using a heat pump or ductless system, as they tend to accumulate more wear and tear. While preventive maintenance does decrease the odds of problems coming up, your system will likely develop some kind of issue between appointments eventually. The best way to limit the damage that any problem can cause your heating system is to call for repairs as soon as you notice that something isn’t working quite the way it should. If you suspect that your heat pump is having some sort of problem, call Balanced Air, Inc.. We offer heating repair in Wesley Chapel, FL and the surrounding areas.